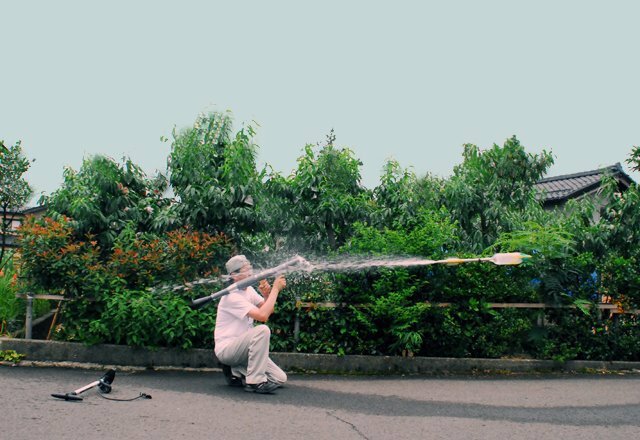 RPG-7 Water Rocket is the ultimate answer to any water fight, No matter it’s a friendly fight or a fight with the old foe, This RPG is ready to make you win the battle every time. Japanese company Marudai has developed the ultimate weapon in the water-gun universe. It’s a water rocket-propelled grenade launcher, and it fires water bottle rockets. 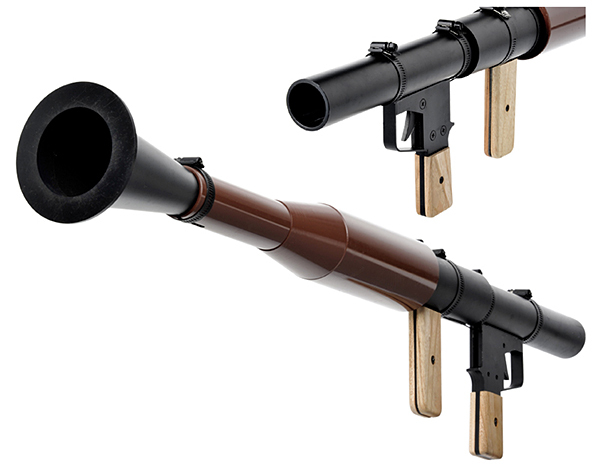 Just think of the fun you could have annoying your neighbors! RPG-7 distance and accuracy depend on water quantity, psi (pressurization a product of a pump and human elbow grease), launch angle, and wing stability. At 20 ounces, stated range is 33 to 115 feet; a smaller, 13.5-ouncer will soar 65 to 98 feet.